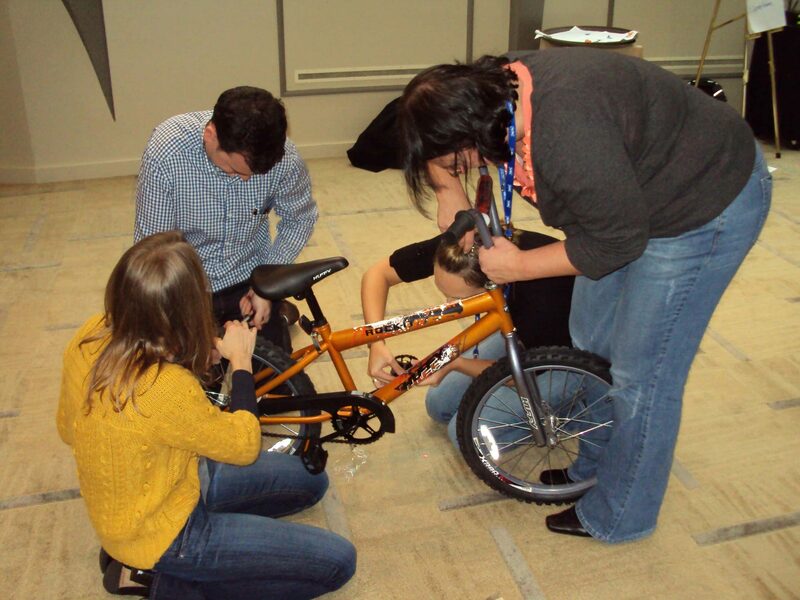 Biogen Idec took part in an afternoon of Team Building that culminated in 6 bikes being built and donated to the Salesian Boys and Girls Clubs of East Boston. 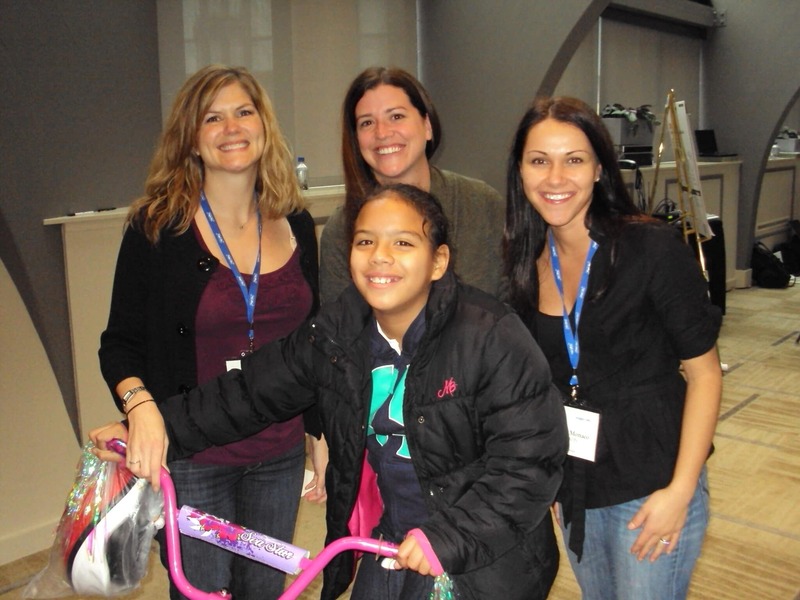 The Build-A-Bike ® Team Building Event is a fun, fast-paced event in which the participants are involved in many fun and worthwhile events that end up making a difference in the lives of children, their families and the communities they live in. The Millennium Bostonian Hotel was the gracious site of the event and went out of their way to make sure that Biogen Idec and The Leaders Institute ® had everything they needed for the event to be an great success. The activities provide learning as a by-product of the games, situations, problems, and obstacles that are faced during the event. Biogen Idec was a great group of creative, fun-loving, growing people that enjoyed the activities and each other. During the event they got to know each other better, see each other in a little different situation that usual, and even display their creative and athletic (even gymnastic) abilities. In the final activity the group made six bikes that were donated to children from a local Boys and Girls Club. The children were present and the people who worked to make the bikes were able to interact with them. It was a great sight to see the kids and the adults working with them to make sure the bikes fit and were ready to ride. The staff from the Millennium hotel provided excellent support for the activities and contributed in their own way to the success of the event. Team work is often viewed as the simple inter connection and effectiveness of group members. But this event showed how four different organizations came together to make one event a big success and contribute to the needs of people in the community. Biogen Idec was the sponsoring company and invited The Leaders Institute to come facilitate the workshop. The Millennium Bostonian Hotel provided the venue for the event and the staff‘s selfless help contributed to the event significantly. The Salesian Boys and Girls Club made sure that the kids were present to receive the bikes. Four organizations working together to make a difference- what a great lesson. And the difference, each organization felt it. It was the experience. It was learning (even if by accident) a little about teamwork and leadership, it was giving back, it was seeing the looks on the kids faces as they saw their new bikes, it was the feeling of knowing you have done something worthwhile. Biogen Idec is a leader in research into Multiple Sclerosis and is leading the way in its treatment and cure, as well as other medical endeavors. Their work makes a difference everyday for people throughout the world. But the Build-A-Bike Event was a nice reminder that making a difference really does make a difference.